Frogs… It seems that of all the animals, frogs are an easy favorite. 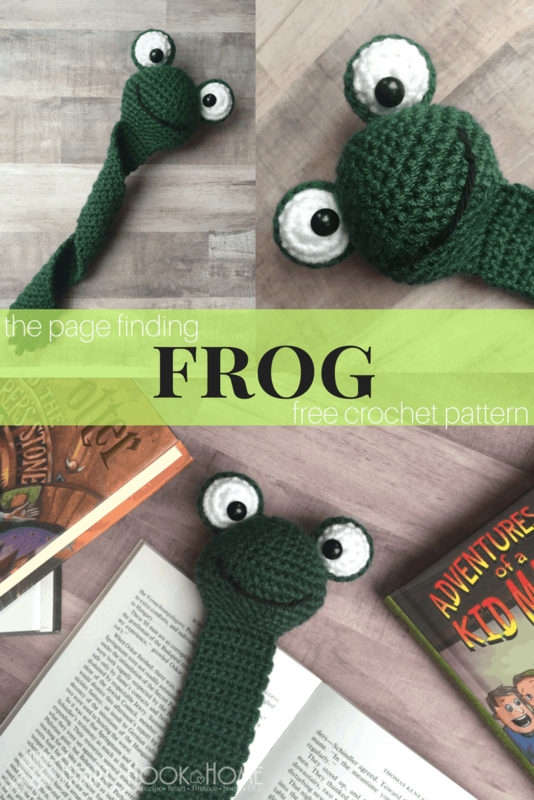 If you, too, have a frog lover in your life it is time to whip up this amigurumi frog bookmark crochet pattern! 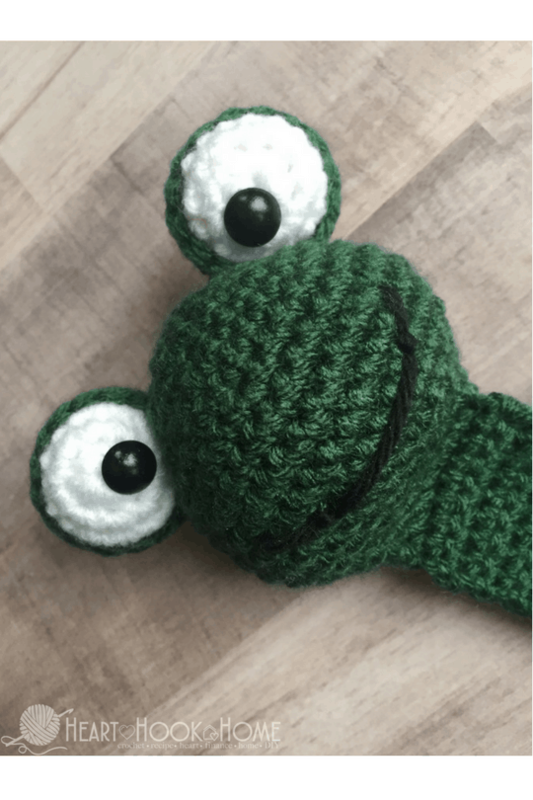 Super easy, super quick and super adorable! What’s not to love?! We also have this super cute duck bookmark, this adorable bunny rabbit bookmark and more to come! 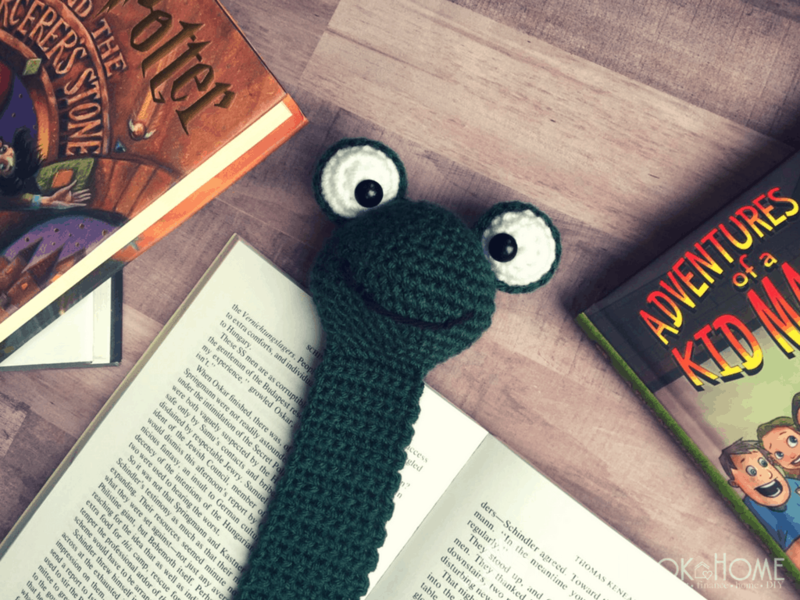 When I am finished creating all of the bookmark patterns I have planned, I will offer them as one lump PDF download on Ravelry and Etsy. Awesome! Squish the head closed and line up the remaining 16 sts. Crochet through the very first two, then the next two, then the next two etc to the end until you have a closed head with 8 stitches across. Fasten off and sew tail into the backside of the eyeball. Round 5: ch-1, sc in next 13 sts. Ch-6, sl st in the 2nd ch from hk and in next ch. Ch-3, sl st in 2nd ch from hk and in next. Ch-3, sl st in 2nd ch from hk and in next. Ch-3, sl st in 2nd ch from hk and in next. Sl st up beg ch. 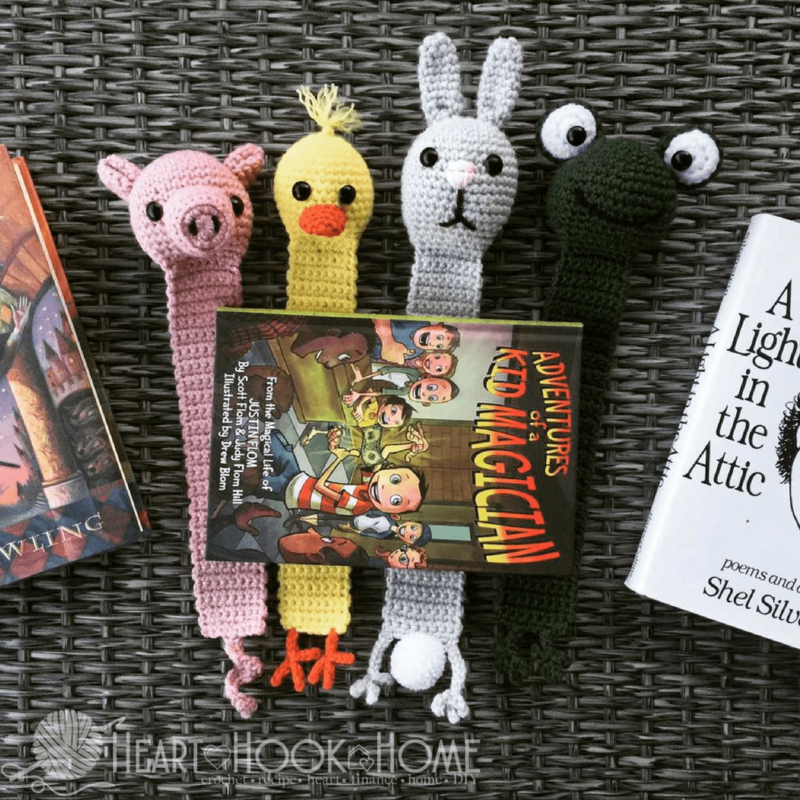 Keep on keeping on with these adorable bookmarks – the next one I publish will be the pig! An adorable little piggy! I am also planning to craete a monkey, a dragon, a cow, cat, dog and maybe a flamingo? The possibilities are endless! Hi Connie! Hk is short for hook. Gracias por aceptar mi suscripción, me gustan mucho sus trabajos, espero que me queden igual de bonitos y bien hechos. I just finished your Quacktastic Duck bookmark, which by the way was a lot of fun! I'm now working on the lil Pig bookmark but am wondering if you've made a pattern for a Cow yet? 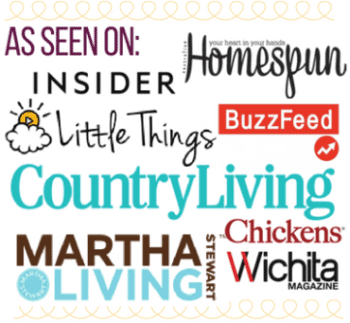 I really enjoy your patterns...easy to follow & fun! I made your Egg-cellent Apron, for my nieces who have about 30 hens! Lots of pockets to fill! 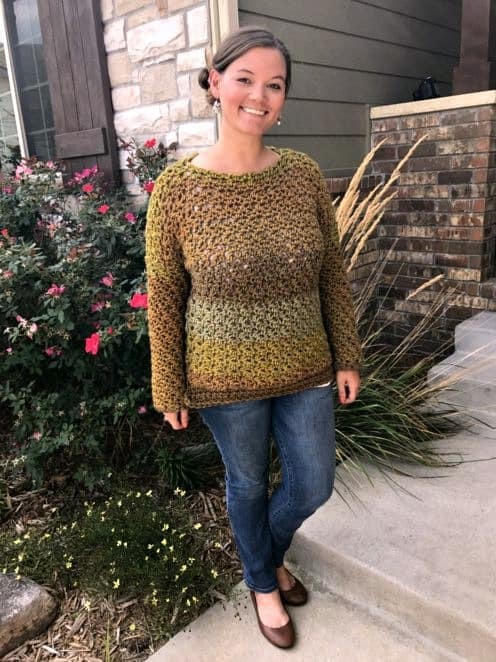 Anyway, just want to say thank you for sharing your amazing patterns!